A quilting friend told me she recognised that I don’t just teach my students how to follow a pattern, I teach them to be creative and think their way through their own ideas. This was great to hear because that’s exactly what I aim to do. The concept of creativity can be intimidating to people not used to thinking of themselves in those terms. I tend to encourage ‘play’ and ‘experimentation’ rather than asking them to ‘take a creative approach’. I rarely use the word ‘design’ for the same reason. However, everyone is creative and can develop ideas, and take them to a creative conclusion, given gentle guidance. A lecturing collegue of mine, many years ago, told a group of new students that they would learn as much from each other as from the teaching staff. He also said the teaching staff would learn from fresh ideas brought in by students. This is absolutely true. When he said this, I was young and new to lecturing. It made me think deeply about the meaning of teaching and it has stuck with me over the years. The work tables in Talgai Hall are set out in a rectangle, with a space in the middle, ensuring that communication within the group is easy. 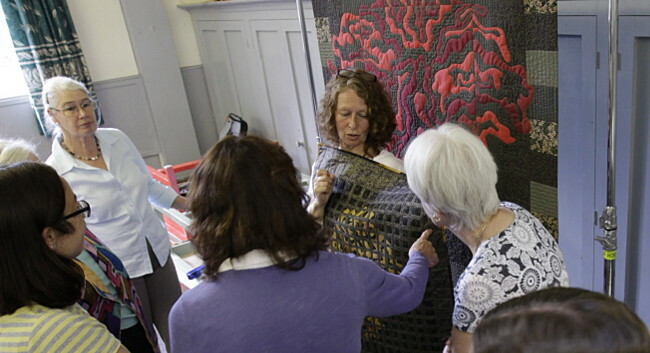 Each quilter can see how everyone else’s work is progressing, and can learn. 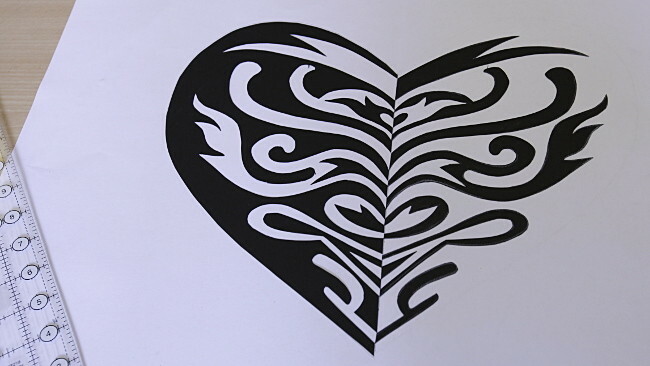 It was a joy to see the black and white paper Notan images developing. 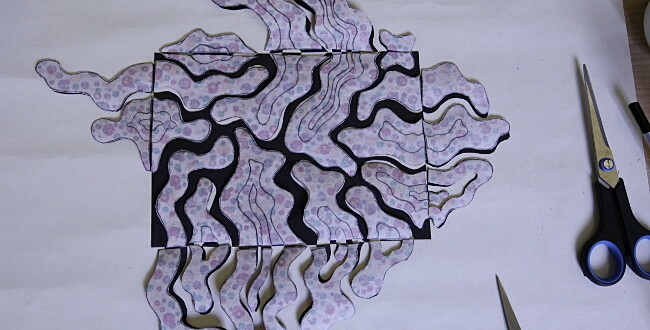 Individual, complex and inspired designs appeared at this stage. It’s evident to me that students who have completed courses with me take a much more creative and experimental approach to each new challenge. In turn, everyone in the group gains from an aspirational environment. My Patchwork and Quilting workshops at Talgai Hall are social occassions as well as classes. I meet some people for the first time, which is always great fun. I also see members of my Beginners’ and Intermediate/Advanced Courses, who I haven’t seen since March. 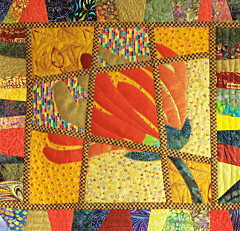 In addition, quilters who attended earlier Patchwork and Quilting workshops and courses, come to learn a new skill. It makes a very enjoyable day. By the end of the workshop, I could have given everyone a big hug. What a lovely, hard working group. I look forward to receiving images of their finished Notan textiles. 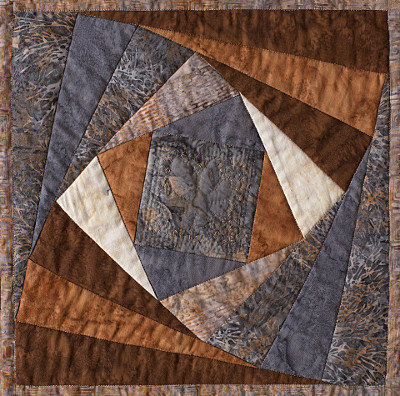 Now I need a new group for my next Beginners’ Course in Patchwork and Quilting. It starts in September and runs, in twelve sessions, until March 2017. 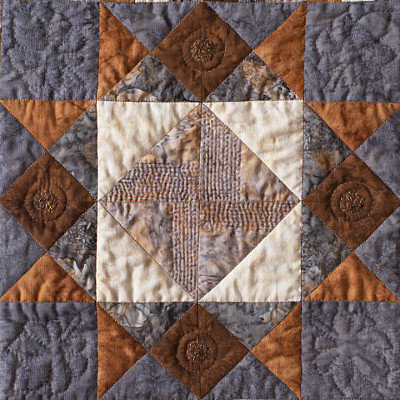 This entry was posted in Blog and tagged Beginners, Patchwork and Quilting workshops on 12 June, 2016 by admin.